The viral picture is being used as recruitment tool. Would you be able to stay completely still if you realized a snake was slithering somewhere even close to you? Chances are the creepy crawly will give you a huge fright and get a reaction out of you. However, for a U.S. Army National Guard sniper, reacting to a snake in close proximity isn't an option. And that's exactly what this stunning yet hair-raising picture manages to capture. Posted by the Alabama National Guard on Facebook on April 12, the picture has gone viral with over 3,200 shares and more than 2,000 reactions. 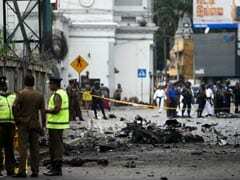 The picture, now being used as recruitment tool, was clicked during a training exercise on April 7. 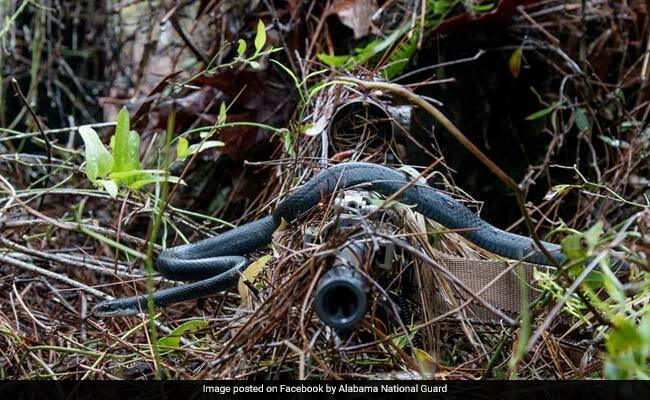 "A southern black racer snake slithers across the barrel of junior U.S. Army National Guard sniper Pfc. William Snyder's rifle as he practices woodland stalking in a camouflaged ghillie suit during a 1-173 Infantry training exercise Satuday, April 7, 2018, at Eglin Air Force Base," says the post. "Our snipers are trained to remain perfectly still for hours on end when in position and remain invisible to enemies and even wildlife," it says further. The picture has gone viral and collected quite a few reactions on Facebook. "Thank goodness for dedicated service members willing to do that... I would have jumped up and said I'm out! " says one Facebook user. "I absolutely DO NOT want to play any kind of role in an organization that allows snakes to slither across them; however, I'm eternally grateful for those that do!" says another. "Saw picture, thought, 'snake and bush'. Read caption, '...across the barrel...' Well, no kidding, look at that. Good thing I was a sailor, lol," says one commenter. "I'm not sure who's bravest... the sniper, the snake or a cameraman that will sit directly in front of a sniper muzzle," says another.